We aren’t talking about Marvel-degree comics here, but girls who can draw are pretty dangerous. Female comic writers (and drawers) are funny, witty and come out with the most exquisite puns. Women also know a thing or two about relationships and are eager to share their knowledge (or, once again, make fun of things). Unlike men, women not only like to talk about their feelings, they also like to draw them out! If you are looking for hilarious comics about relationships with a feminine point of view – you need to search no more. Here are 14 hilarious comics created by women (and some might argue for women as well) you need to follow right now. 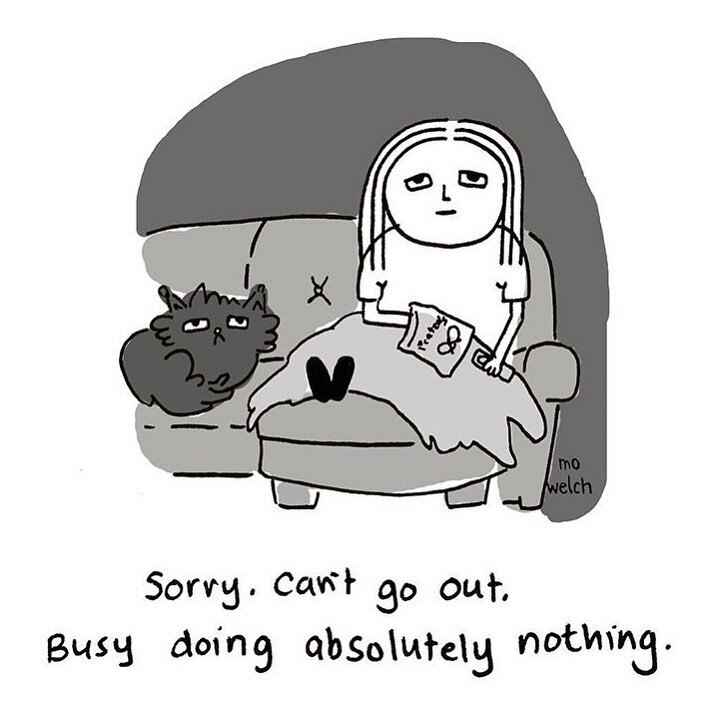 Chetwynd’s comics are incredibly cute, sweet and will definitely make you feel all warm inside. She believes in long-lasting relationships and that love doesn’t burn out as time passes by, but only gets stronger and acquires a different taste just like wine does. Follow Catana here. 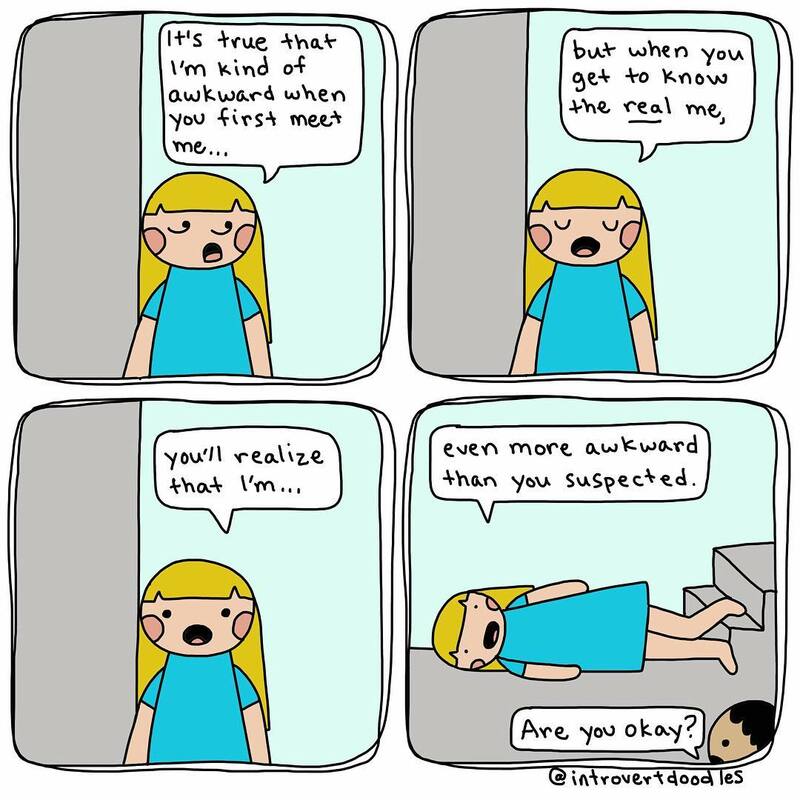 Being an introvert can be funny as heck. Or troublesome. Or tiresome. In fact it’s all of the above mentioned and some more! Maureen Marzi Wilson definitely knows what she’s talking about and this is just the tip of the ‘awkward’ iceberg. You can follow her here. Saskia Wariner is witty, funny and right on spot when it comes to relationships. 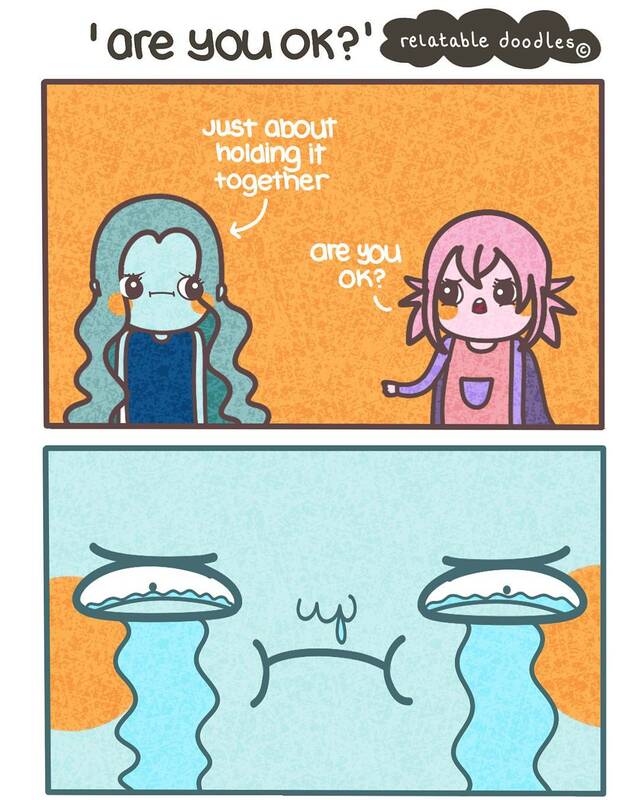 Her comics are really inspiring and true to life. Follow her here. 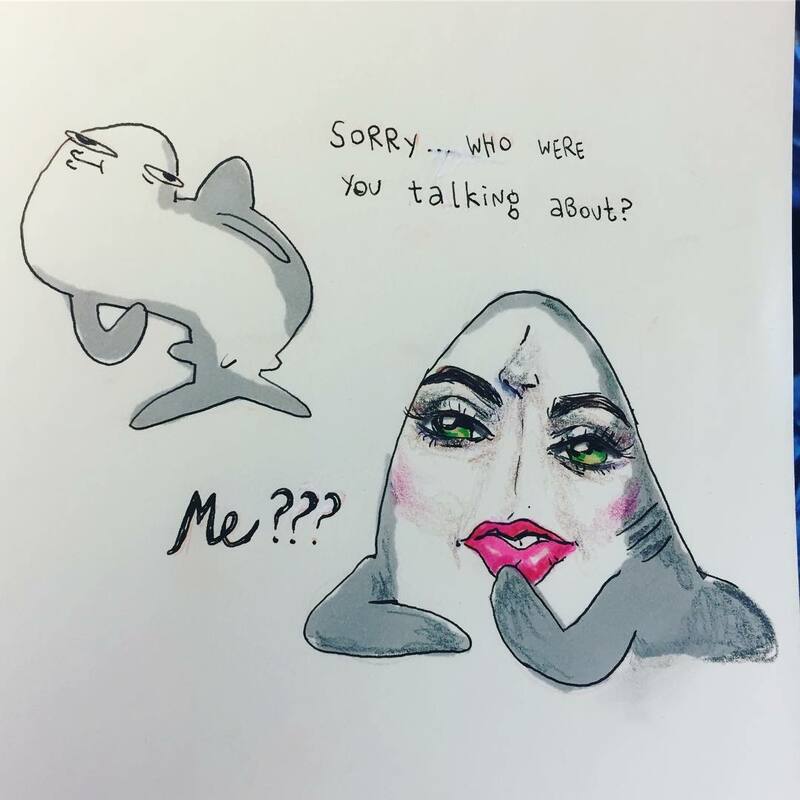 Megan Nicole Dong is an incredible sketchbook-doodler, professional sharksfan and a director at Nickelodeon Animation Studios. 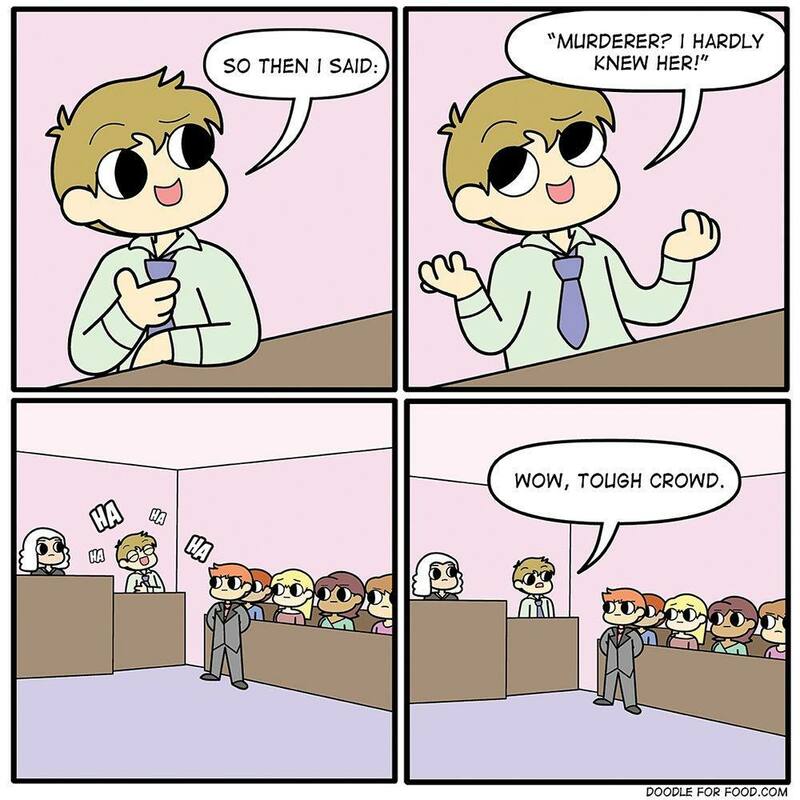 Her animalistic comics are killing it! Check out more of Megan’s works here. You are probably already following Andersen’s work, but if you aren’t – don’t miss this gorgeousness! She might be the funniest (and cutest) sketch artist of the decade. Follow her here. Mckay’s big-eyed comics are super cute, full of joy and wonder. Her talking sheep are just as funny as sheepish humans! You can follow her here. 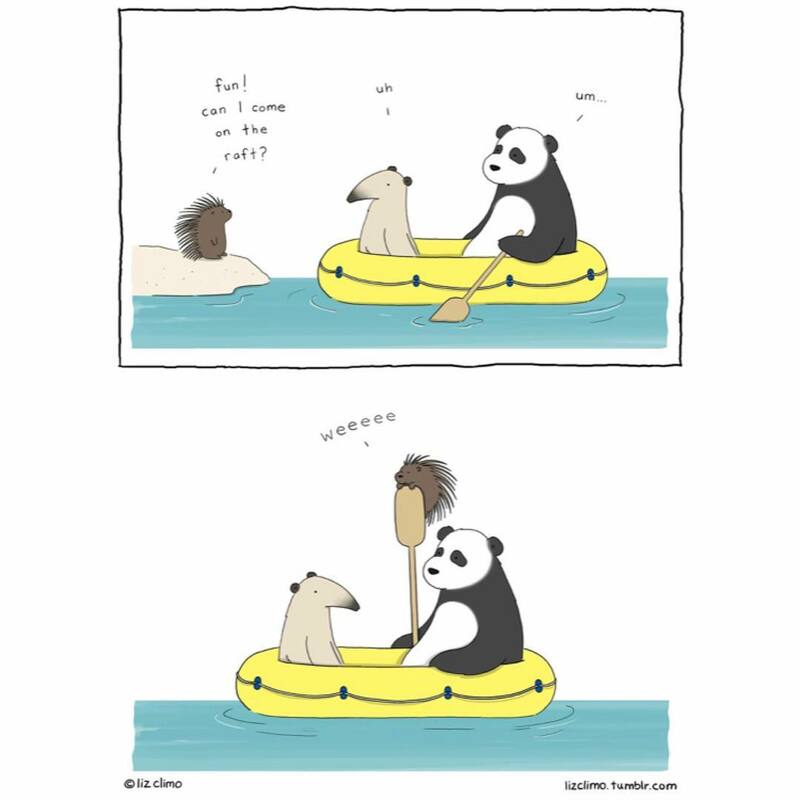 If you think that back in the day humor was more subtle and exquisite, then Liz Climo’s work will definitely make your day. Follow her here. 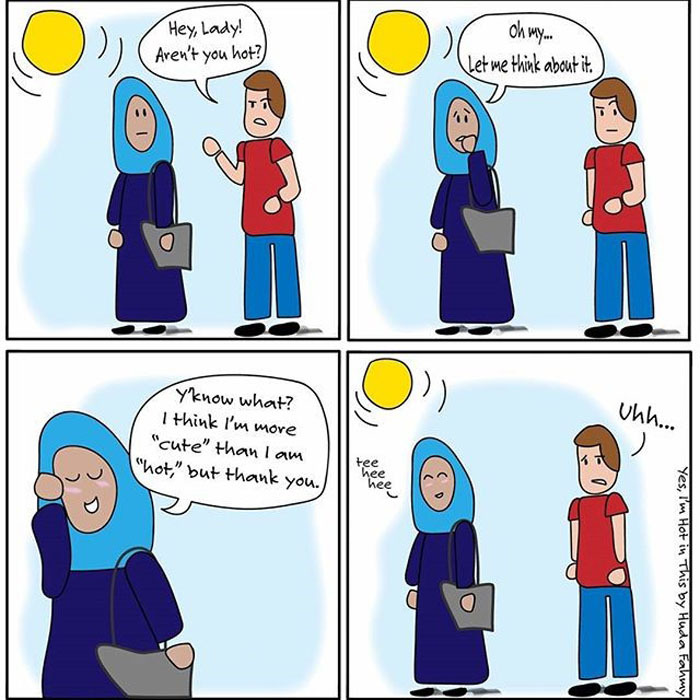 Is it hard to be a Muslim-American woman? Well, it is to some extent, but it’s also funny and humorous situations just don’t seem to end. 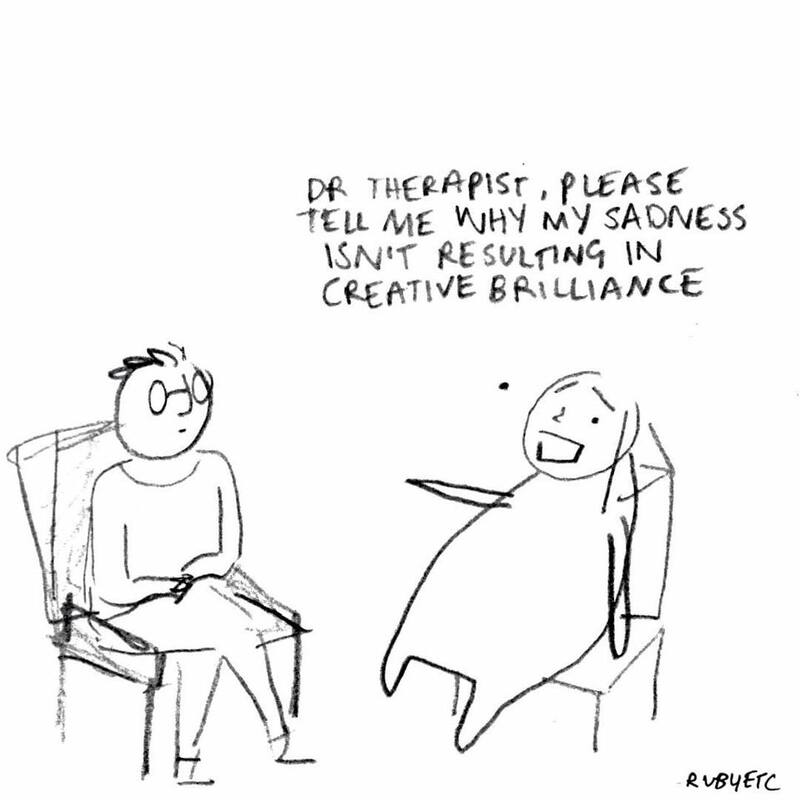 Huda Fahmy is one of the coolest cartoonists right now and her work is simply hilarious. Check her out here. What’s the scariest thing underwater? 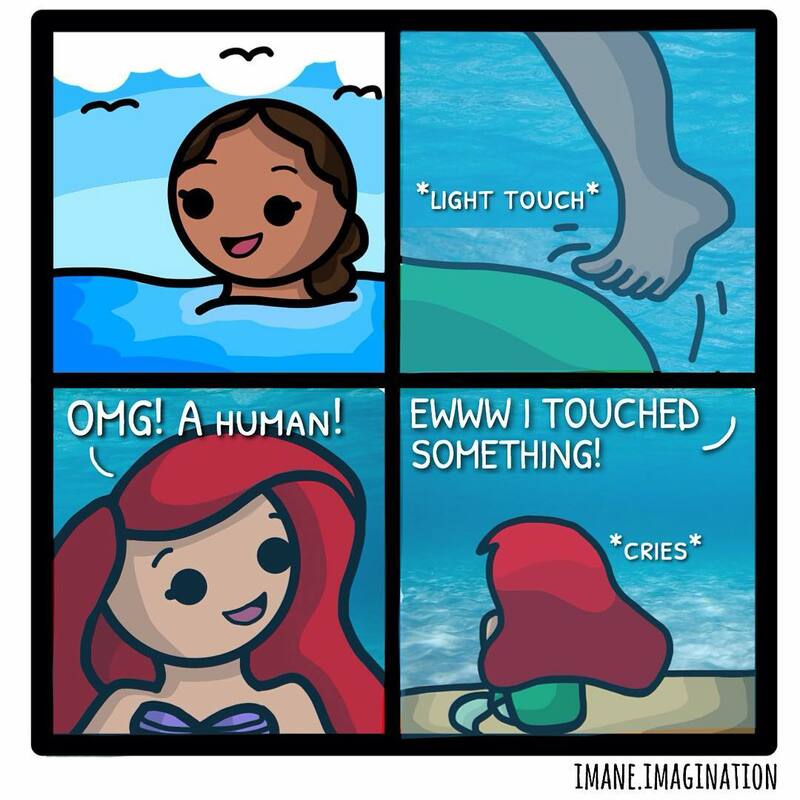 According to this cute Ariel it’s not jellyfish or weird oceanic beasts – it’s humans! 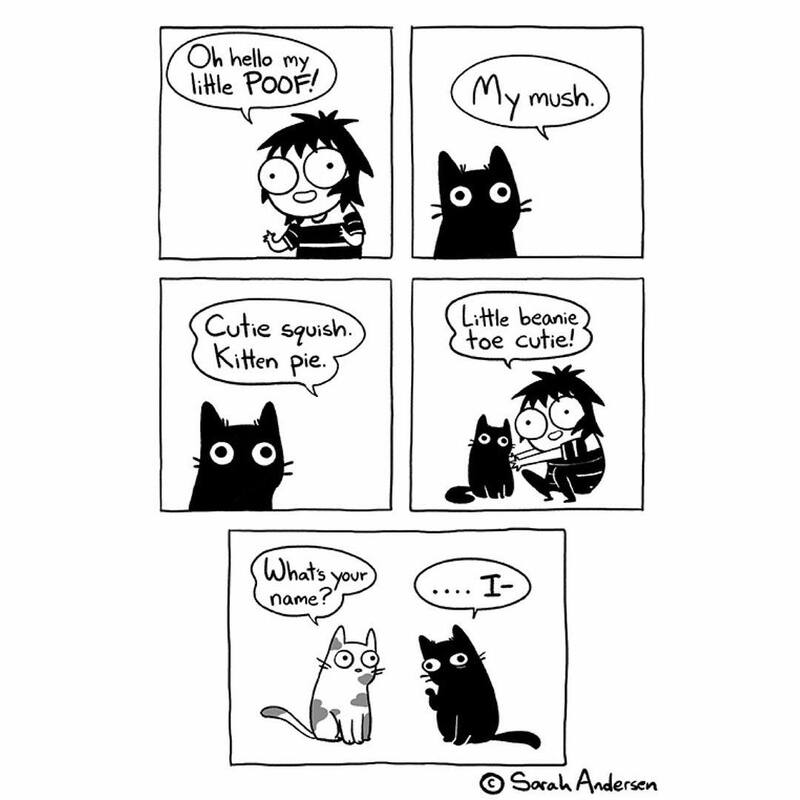 For more cute weirdness visit the author’s Instagram. It’s hilarious! Mo Welch is a pro when it comes to human nature. It’s almost impossible not to recognize yourself in her funny artworks. The hardships of Facebook, procrastination and staying up all night – her comics cover all the issues of a modern-day life. You can enjoy more of her works here. Tacchia is an LA artist and illustrator whose works are filled with style and humor. Don’t miss her other works here. 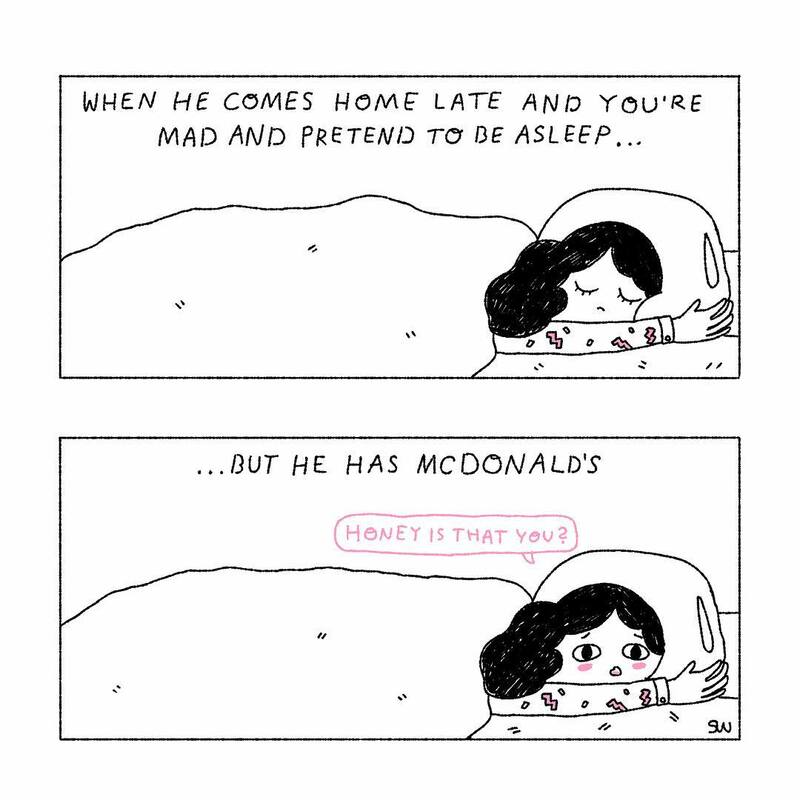 Just as the name suggests, Potato Queen’s comics are super relatable, and we mean it! Each small scenario is both funny and lively and true to life. Her Instagram is packed with sweet small doodles that are beyond delicious! Thought you couldn’t laugh at mental illnesses? Well, then you thought wrong. 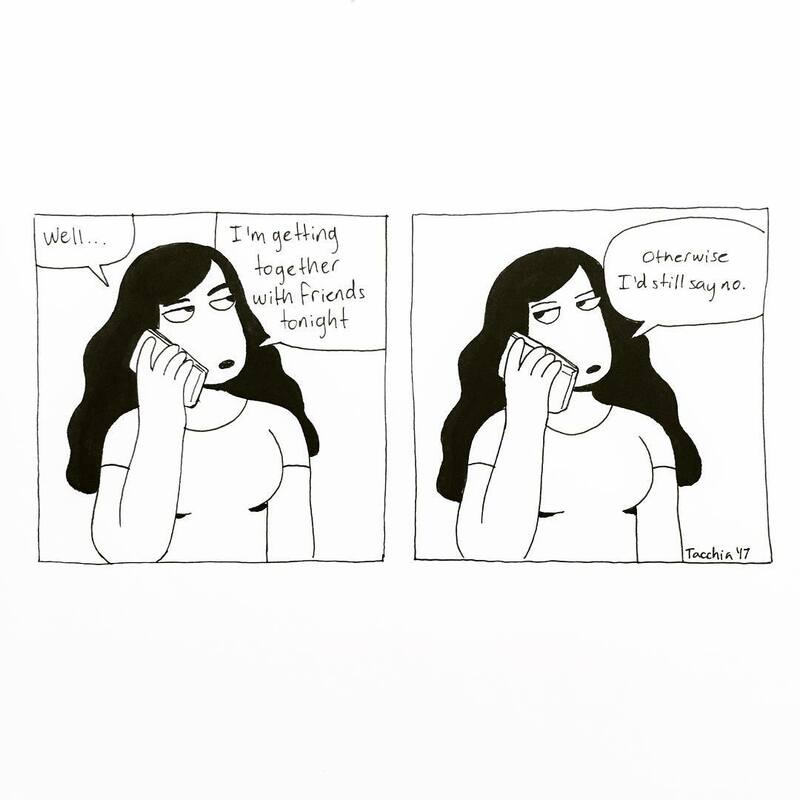 Ruby Elliot is brilliant at what she does and her comics will make you both laugh and cry at the same time. Check out her work here. 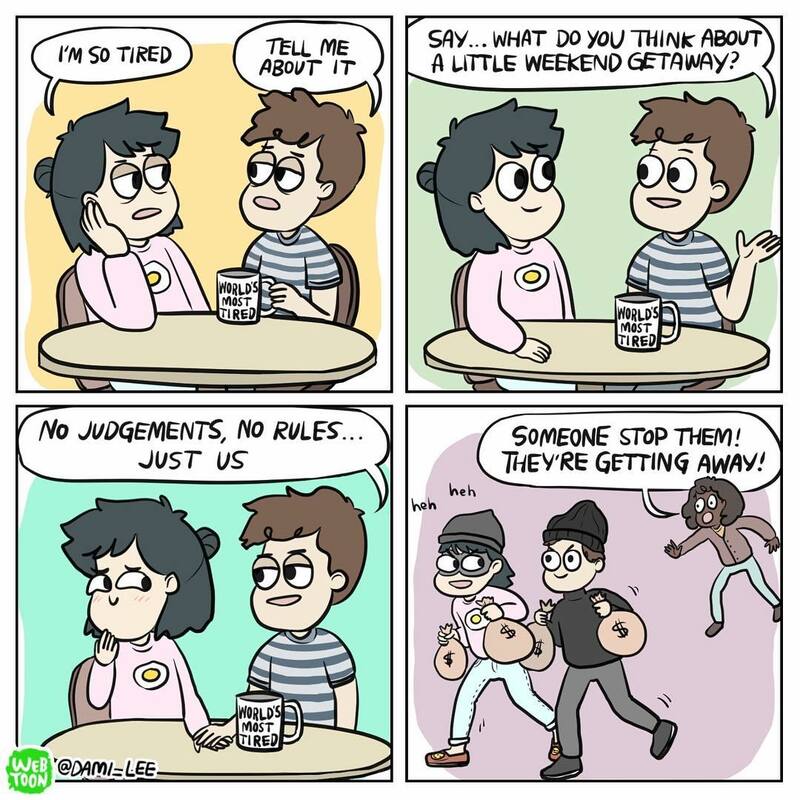 The word ‘funny’ hardly covers the work done by Dami Lee. Her every comic is like a pun intended and we love her for that! Don’t miss her on Instagram.